Biodiesel mainly consists of three elements, C, H and 0. As an alternative fuel of diesel, biodiesel should meet the use requirements of diesel to ensure its use as a fuel. Therefore, the evaluation of whether biodiesel can be used as a substitute fuel for diesel oil should first depend on whether it has similar properties to mineral diesel oil, mainly in the following aspects: 1. 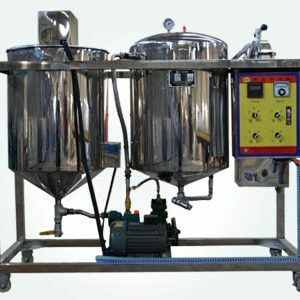 3.Good viscosity and density and cold filtration point at room temperature and low temperature. 6.Good power performance – calorific value. 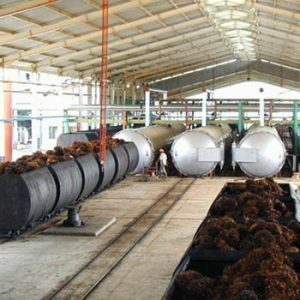 Secondly, the specific indicators of biodiesel affected by raw materials and processes, such as methanol content, glycerol content, free fatty acids, phosphorus content and so on. Combustion performance is an important index to evaluate the quality of fuel oil, and CN value is an important index to evaluate the combustion performance of fuel in compression ignition engine. Diesel engine belongs to compression ignition engine. 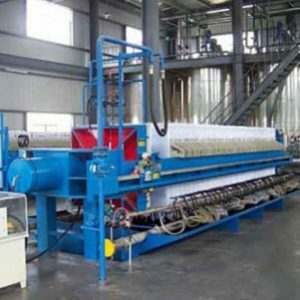 It is required that diesel oil be injected into the cylinder and mixed with compressed air, then spontaneously ignite under high temperature and high pressure, and work in the cylinder. The CN value of diesel affects the whole combustion process. When the CN value is too high, it will lead to incomplete combustion, reduced engine power, increased fuel consumption and black smoke. It is generally believed that the appropriate CN value of diesel oil should be 45-60, which can ensure the diesel fuel to burn evenly, high thermal power, low fuel consumption, stable engine operation and normal emissions. According to Harrngton and Gerhard et al, the increase of carbon chain length contributes to the increase of CN value, while the increase of the number of unsaturated double bonds leads to the decrease of CN value. The CN value of biodiesel is slightly higher than that of common mineral diesel, usually between 50 and 60. 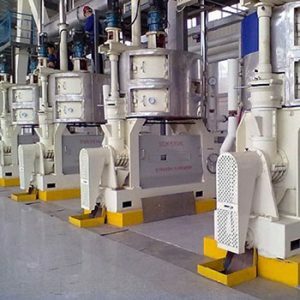 The determination of CN value includes “critical compression ratio method”, “delay ignition method” and “simultaneous flash method”. The national standard (GB386-64) stipulates that “simultaneous flash method” is adopted. Biodiesel is a mixture of a series of complex fatty acid methyl esters, so unlike pure compounds, there is no fixed boiling point. The boiling point of biodiesel increases with the increase of gasification rate. 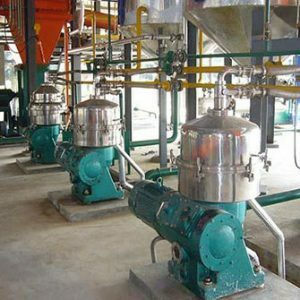 Therefore, the boiling point of biodiesel is expressed in a certain temperature range, which is called boiling range or distillation range. The distillation range of diesel is an important index to ensure the rapid evaporation, gasification and combustion of diesel in the engine cylinder. 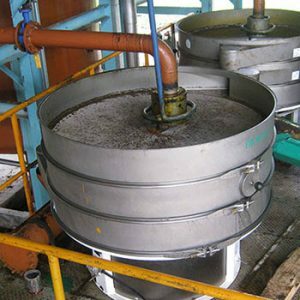 In order to ensure a good start-up performance at low temperature, a certain amount of light fraction should be used to make it evaporate quickly, to form a combustible mixture and to burn fast. China’s light diesel targets require that 95% of the distillate temperature should not exceed 360 – 365 C. The distillation range is determined by GB255 – 64. Kinematic viscosity is an important index to measure fuel flow performance and atomization performance. If the viscosity is too high, the flow will be poor, which will make it difficult to form oil. At the same time, the diameter of the oil droplets is too large, and the oil flow range is too long. 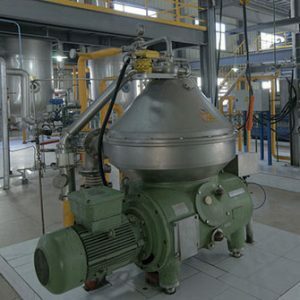 The effective evaporation area of oil droplets is reduced, the evaporation rate is slowed down, and the mixture composition is not uniform, the combustion is not complete, and the fuel consumption is large. When the viscosity is too low, the fluidity will be too high, which will make the fuel flow out of the gap between the plunger and the pump barrel, resulting in less fuel injection into the cylinder and engine efficiency. At the same time, after atomization, the diameter of oil droplets is too small, the range of spray oil flow is short, and can not mix with air evenly, and the combustion is incomplete. It is generally believed that viscosity between 1.9 and 6.0mm / S is suitable for diesel engine fuel. The carbon chain length of biodiesel is usually L4 – 20 carbon atoms, while mineral diesel oil is 8 l0 carbon atoms. Therefore, the viscosity of biodiesel is slightly higher than that of mineral diesel (Table 1). Mixing biodiesel with mineral diesel or other solvents in a certain proportion can effectively reduce its viscosity and improve its low temperature performance. 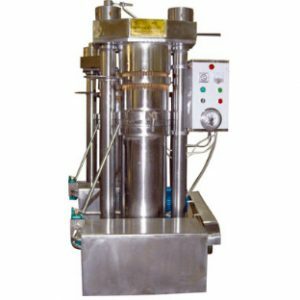 The determination of kinematic viscosity can be carried out according to GB / T265 – 88. The density of oil product has great influence on the range of fuel ejected from the nozzle and the atomization quality of the oil. The density of No.0 diesel oil is about 0.83 g/cm, No.2 diesel oil is about 0.85 g/cm, and the density of biodiesel oil is slightly higher than that of diesel oil by 2%-7%. Generally, the density of biodiesel is between 0.86-0.90 s/cm. Details are shown in Table 1. The measurement of density is generally based on the GB5526-85 method. The lowest temperature at which oil is heated to the point at which its vapor contacts the flame is called the flash point, and the lowest temperature at which the oil is heated to the point at which the flame can be touched is ignited and burned and not less than 5 seconds is called the flash point. The significance of determining the flash point of oil is as follows: 1. The higher the vapor pressure of oil, the lighter the fraction, and the lower the flash point; 2. The flash point is the lower explosion temperature of oil (except gasoline), that is, the explosive combustion of oil will occur immediately when it encounters open fire. 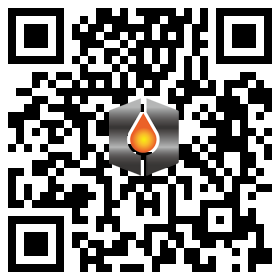 Flash point can identify the danger of oil fire. The lower ignition point, the more inflammable fuel. The minimum flash point of biodiesel is 110cI=. The flash point was measured by closed cup method (GB / T261-83) and open cup method (GB / T267-88). The acidity of oils and fats refers to the amount of alkali required to neutralize acidic substances in unit mass oils and fats. The acidity of diesel oil has a great influence on the working condition of the engine. The diesel oil with high acidity (value) will increase the coke deposit in the engine, cause the piston to wear, cause the nozzle to coke, and affect the atomization and combustion performance. The high acidity (value) will also cause the emulsification of diesel oil. Acidity and acid value are important basis for measuring the corrosiveness and performance of oil products. Biodiesel prepared by transesterification contains only a very small amount of fatty acids, naphthenic acid and other organic acids and sulfur. Its acidity value is generally below 0.5 mg KOH/g, which is much lower than that of high quality diesel (5 mg KOH/g). Acid value can be determined by the method of GB / T14489.3 – 93. Caloric value is the basic index of biodiesel application to engine, and relates to the dynamic performance of engine. The mass calorific value of biodiesel is about 10% lower than that of mineral diesel (see Table 1), but its density is higher than that of mineral diesel, so its volume calorific value is only 3%-4% lower than that of mineral diesel. The energy that enters the cylinder of a diesel engine is calculated by the fuel volume calorific value supplied by each cycle of the fuel system. Biodiesel is directly used in diesel engines. The power of biodiesel is only slightly lower than that of diesel with the same fuel supply per cycle, but its oxygen content can significantly reduce black smoke emissions. Calorific value can be determined by GB384 – 81. The iodine value of grease is the number of grams of iodine absorbed per 100g fat. The level of iodine value reflects the degree of unsaturated oil, the higher the iodine value, the greater the degree of unsaturated. The average double bond number of mixed fatty acids in oils and fats can be calculated by the determination of iodine value. The number of unsaturated bonds is related to the combustion performance, kinetic viscosity and cold filter point of biodiesel. However, low unsaturated biodiesel has low iodine value and high CN value, but its low temperature performance is poor, while high unsaturated biodiesel has high iodine value and low CN value, but its low temperature performance is excellent. In this way, there is a contradictory relationship between iodine value, CN value and low temperature performance. At present, genetic engineering technology has been used to breed oil resources with high CN value. The method for measuring iodine value can be seen in GB5532-85. Biodiesel is a kind of fatty acid methyl ester prepared by transesterification of various oils and fats. Therefore, the purity of biodiesel can be determined by measuring the content and structure of methyl ester, which is of great significance for the quality control of biodiesel. The ester content can be determined by instrumental analysis, such as gas chromatography, or by reference to the national standard GB / T 14489.3-93 or GB 5534-85. Sulphur content has a great impact on engine exhaust emissions. Low-sulfur fuel oil has two main effects on emission control: direct reduction of particulate matter and SO: emission; ensuring the efficiency of particulate matter and NO emission control of various diesel vehicles. The determination of sulphur content can be carried out in accordance with the regulations specified in GB38O – 77. The existence of water has a great impact on the combustion performance of biodiesel, but also on the diesel engine corrosion. Water also improves the chemical activity of biodiesel, making it easy to deteriorate and reduce storage stability. The ash in biodiesel is mainly residual catalyst (alkali catalysis) and metal elements and their salts in other raw materials. Limiting the ash can limit the content of inorganic substances such as residual catalyst in biodiesel. The determination of moisture and ash can be carried out according to GB6283 – 86 (Carle Fischer method) and GB 508 – 65 respectively. Oils and fats evaporate, crack and condense when heated in isolation from air. A coke-like residue with glossy scales is formed, which is mainly composed of gum, asphaltene, polycyclic aromatic hydrocarbons and ash. The amount of residual carbon directly affects the stability of the oil, the coke content and coke deposition of the diesel engine. The determination of residual carbon can be carried out in accordance with GB / 68 – 87. Corrosiveness is an important index affecting the use of biodiesel. Biodiesel, as a solvent, can gradually dissolve artificial rubber, so that filters and nozzles are clogged. Corrosion test is to put copper strip into oil, 50cI = placed for 3 hours, and then observe the change of copper strip, it has a great relationship with sulfur content. The method of determination is based on GB378 – 64. Biodiesel production process requires a large amount of methanol, and methanol and esters are mutually soluble. Although most of the methanol is recovered in the follow-up process, there are still trace residues in biodiesel products, containing trace methanol and glycerol will gradually dissolve the rubber parts in contact with it, thereby affecting the normal operation of the engine. . The determination of methanol content can be carried out by gas chromatography and spectrophotometry. The glycerol content in biodiesel depends on the transesterification process. The high viscosity of glycerol esters is a major cause of start-up and persistence problems in biodiesel. Glycerol esters, especially triglycerides, deposit on nozzles, pistons and valves. Biodiesel standards in many countries require free glycerol less than 0.02% and total glycerol less than 0.25%. The determination of free glycerol and total glycerin is usually saponified – periodate oxidation or colorimetry. High phosphorus content in biodiesel will increase particulate matter in combustion emissions and affect the performance of automobile exhaust catalysts. The phosphorus content of vegetable oil mainly depends on the degree of oil refining. The depth of oil refining contains only a few milligrams of phosphorus per liter, while the phosphorus content of crude oil and degummed oil can reach lOmg/L. A spectrophotometric method for the determination of phosphorus content has been reported in the literature.